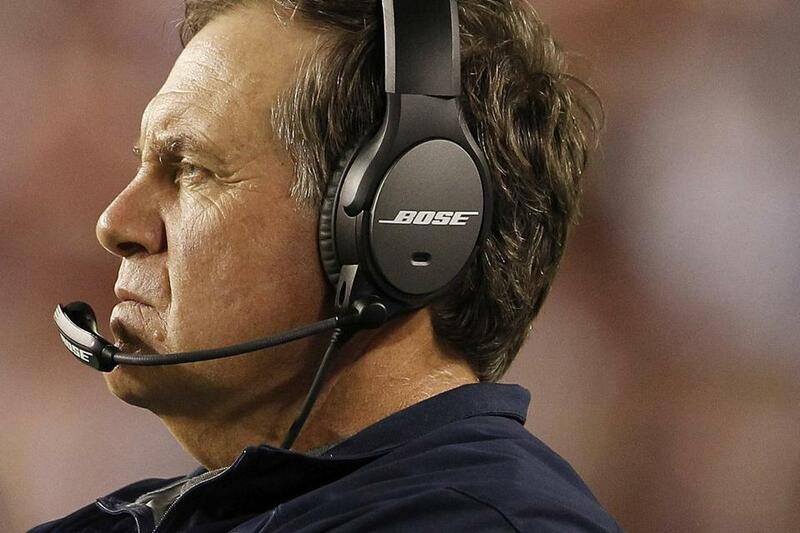 Patriots coach Bill Belichick sported the new headset during a preseason game. Patriots coach Bill Belichick probably won’t abandon his trademark hooded sweatshirt with cutoff sleeves this season, but another staple of his sideline attire is changing. The headsets worn by Belichick and all NFL coaches now bear the logo of Framingham audio equipment maker Bose Corp. The insignia of telecommunications giant Motorola adorned the headsets for 13 years before last season, when the NFL went without a sponsor. While financial terms of the deal have not been disclosed, the few inches of space on a football coach’s earpiece are considered valuable real estate. Motorola was paying about $40 million per year before its contract expired, according to industry estimates, and the NFL reportedly rejected the company’s offer to increase the annual rights fee to $50 million. The eye-popping price tag makes the cost of a Super Bowl commercial — $4 million for 30 seconds last season — seem like a relative bargain. About 60 headsets are used during each football game, according to the NFL. The equipment is similar to noise-canceling aviation headsets manufactured by Bose, which retail for $1,100. A key factor in driving up the value of the headset sponsorship is the rare opportunity to place a company logo on the field. While television viewers might be able to avoid commercials, they can’t help but see “Bose” every time cameras show coaches calling plays or referees reviewing close calls at instant replay booths. Athletic apparel maker Nike, which supplies all NFL uniforms, has the most prominent on-field logo placement. Placing its familiar “swoosh” on the league’s jerseys reportedly costs the company about $220 million per year.